Shall we start this one with bursting a few bubbles? No? Then let me rephrase it so that you don’t even have a choice. We shall start this story by bursting a few bubbles, period. Okay, now that it sounds authoritative enough, let me tell you it’s not even a ‘few’ but just one big bubble really. One that still has a few million masses in it… one that I am about to prick… So here it goes. Maruti has sold a total of 120,720 units of the Alto (K10 AND 800) in the first six months of this fiscal (April to September 2016). That’s 10,408 units less than what it had managed in the same period last year. And it’s not just a few months; last twelve months have not been good for what is perceived as an invincible and (is) the largest selling passenger car in India. This was a car, much like the erstwhile M800, that had seldom seen the kind of downfall in its entire lifespan that it has been witnessing from the last many months now. So what exactly happened about 12 months ago? The Renault Kwid. That’s what happened! 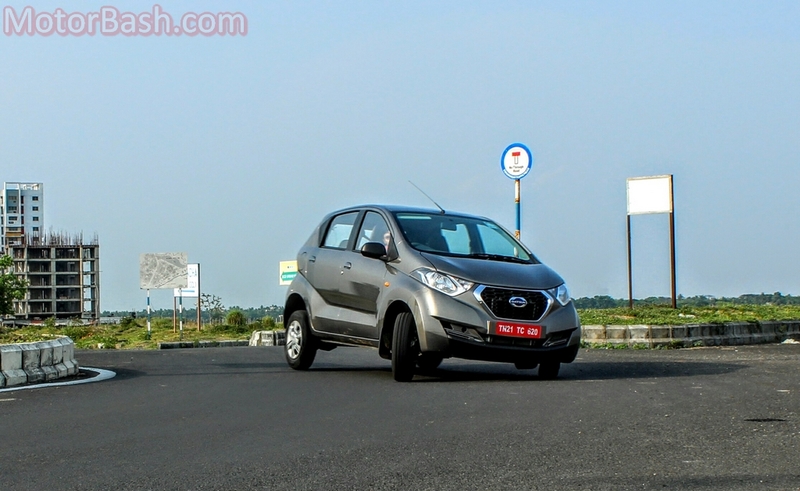 And it’s not only the country’s largest carmaker that is feeling the pinch; the heat is mercilessly reaching Hyundai too – the company managed to sell only 24,937 units of the Eon in the first six months of this fiscal (down 21 percent as compared to 31,559 units of last year), whereas the Kwid has found 56,028 takers in the same period! 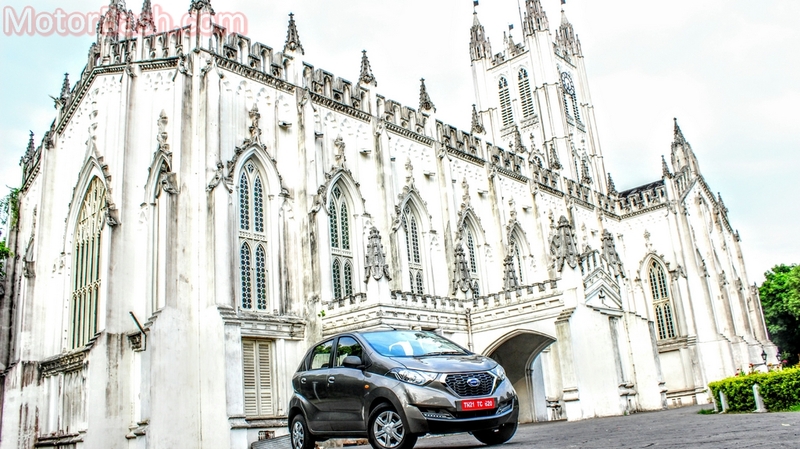 Renault is going all guns blazing with Kwid and has sold over 10,000 units each in the last two months, so yes, the French insurgency continues… Now, partner Nissan has joined the party with its Datsun RediGO – a car based on the same Renault-Nissan CMF-A (Common Module Family-A-segment) platform as the Kwid. 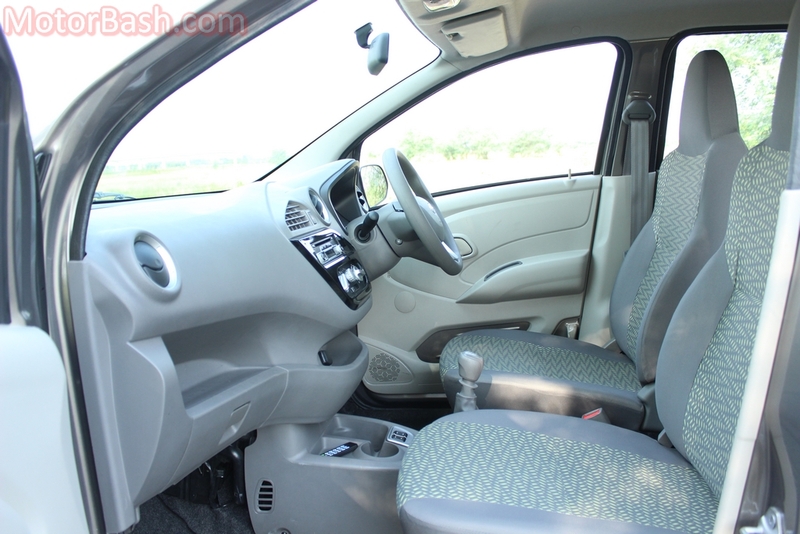 So, is the RediGO just a reskinned Kwid or there’s more to it? 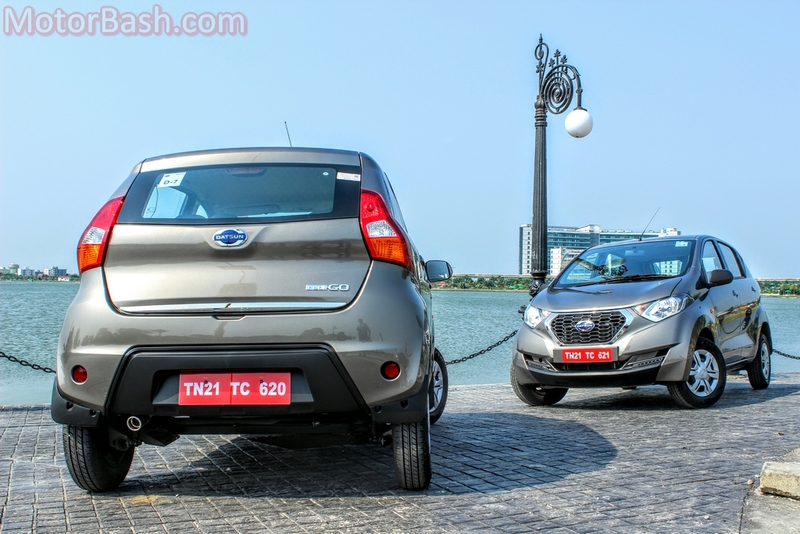 Will it help Datsun’s case in India? 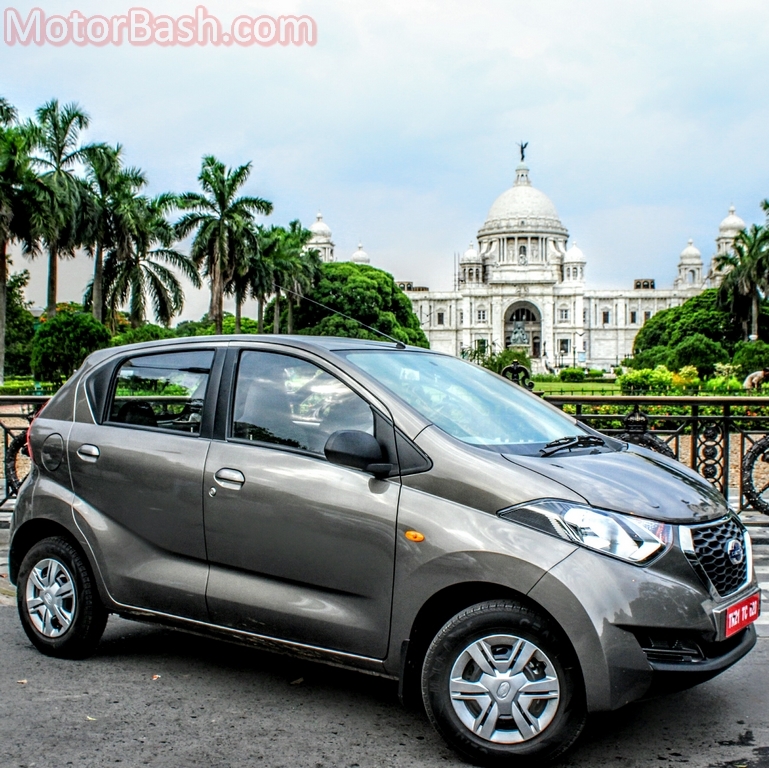 Will it further trouble Maruti and Hyundai? 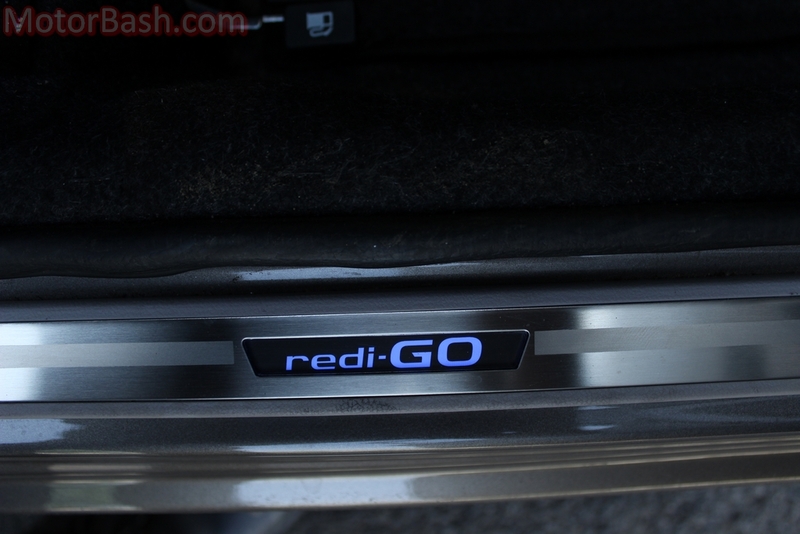 We may or may not be able to cover all these questions but we will certainly strive to answer the most important question, which is: “Whether you, dear reader, should be ready to go for the RediGO?” Let’s get down to it then! 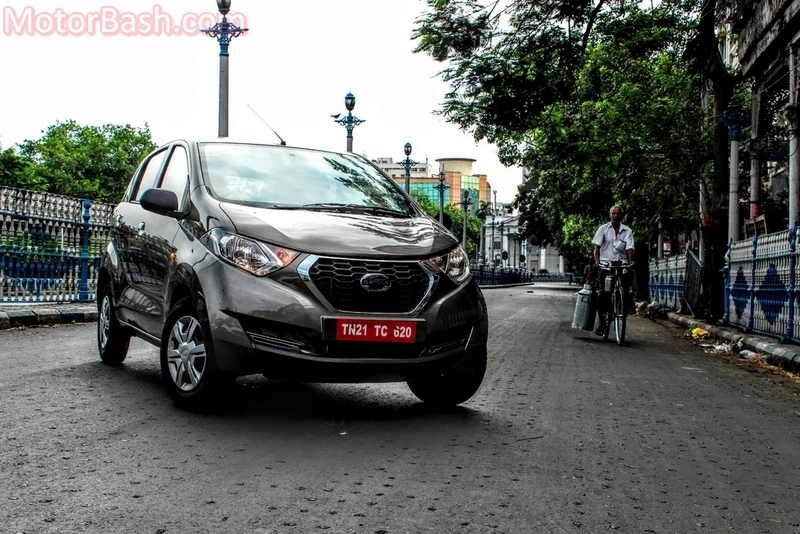 Datsun refers to its newest offering as “Urban Cross” and though that’s too optimistic a description, what cannot be argued against is the fact that the RediGO looks decidedly handsome than its immediate competition, the Alto 800. 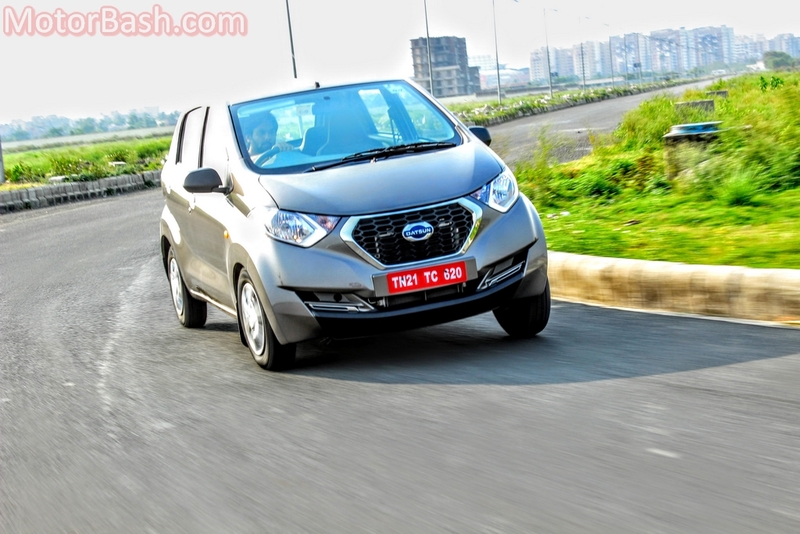 It’s a cheerful looking car, this Datsun, and it definitely has presence! 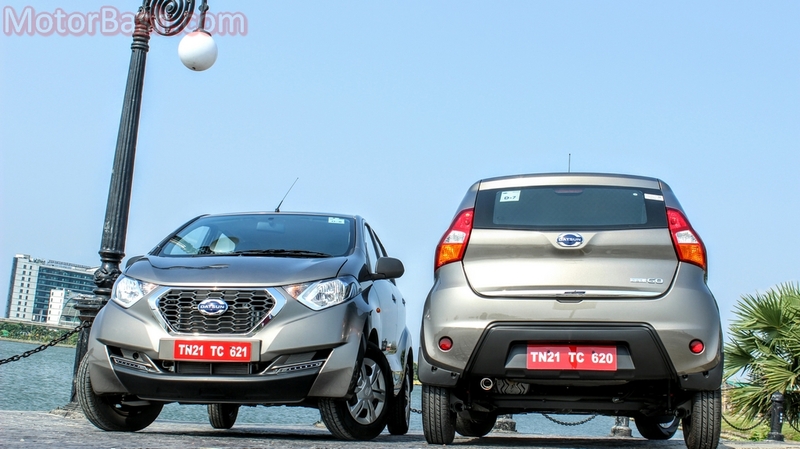 Forget the Alto; parked next to even the Kwid, the Datsun almost dwarfs its cousin despite the latter being longer and wider! 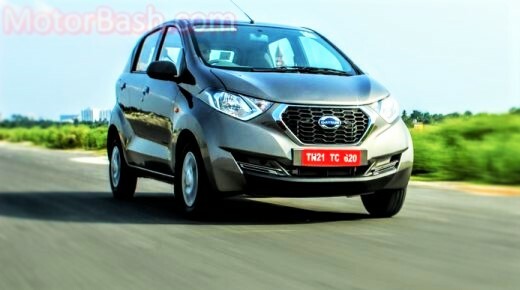 On the other hand, just visualize the RediGO parked amidst an Eon, a Beat, and an E2O, and the Datsun would just merge with the crowd rather than stand apart like the Kwid would. Which may be a good thing for the introverts or a bad thing for the extroverts. Take your pick. 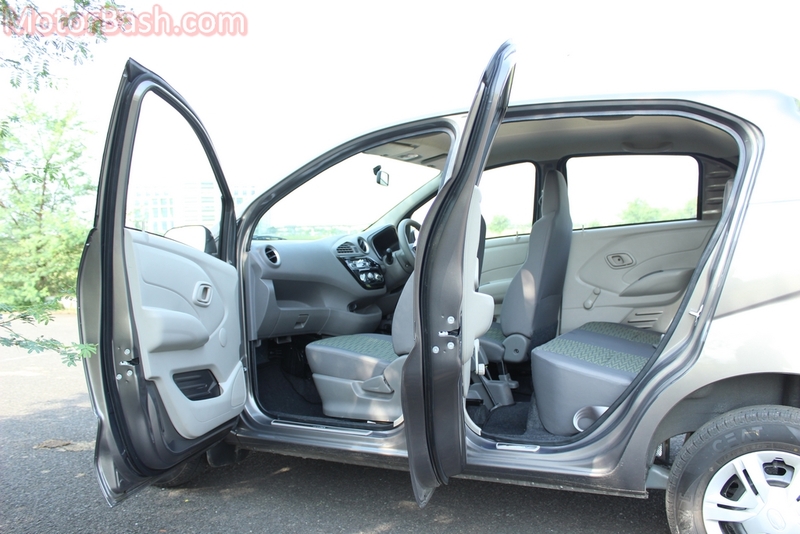 That said, the front and rear design is distinctive, and the incorporation of DRLs in a car in this segment is a first! The DRLs should have been brighter though as at their current luminosity they will mostly go unnoticed during daylight. Overall, the exterior of the RediGO is smart and substantial enough to never make you feel that you own an entry-level hatchback. That works for me. I seriously can’t understand what is wrong with manufacturers that they fail to see the bright side of an, er, all-black interior. Why is everyone so obsessed with grey, beige, cream, and more grey? Get past the bare bones feel, and you start noticing the good things. Things that really matter! The ergonomics are near-perfect, which is saying something for a car that does not get seat-height and steering-rake adjustments. Of course, you would be a fool to expect these features in this segment, but the truth is you won’t miss these features in the RediGO. Because, it does not matter whether you are a five-footer (like yours truly) or a five-niner (like my friend), everything falls perfectly to hand in this Datsun, save for the front power windows controls that are placed ahead of the gear lever. But it’s not something that you can’t get used to. 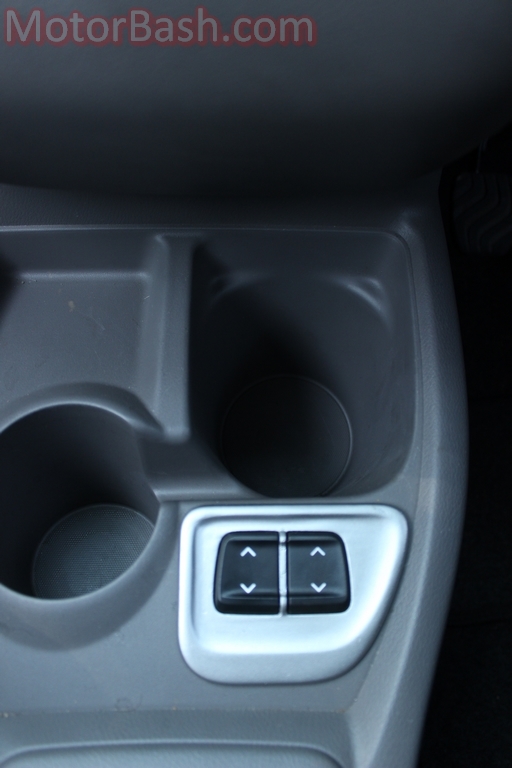 Otherwise, even the bonnet-release knob is located at a convenient reach, unlike in some cars where not only do you have to have the flexibility of a gymnast to reach it, it’s hidden in such a manner that you first have to light candles and summon the spirit to show you the way! And now comes the best part – the seats. They are the MOST COMFORTABLE perches in the segment. In fact, in-cabin space, comfort, and ease of ingress/egress is something where the RediGO will just decimate its competition! 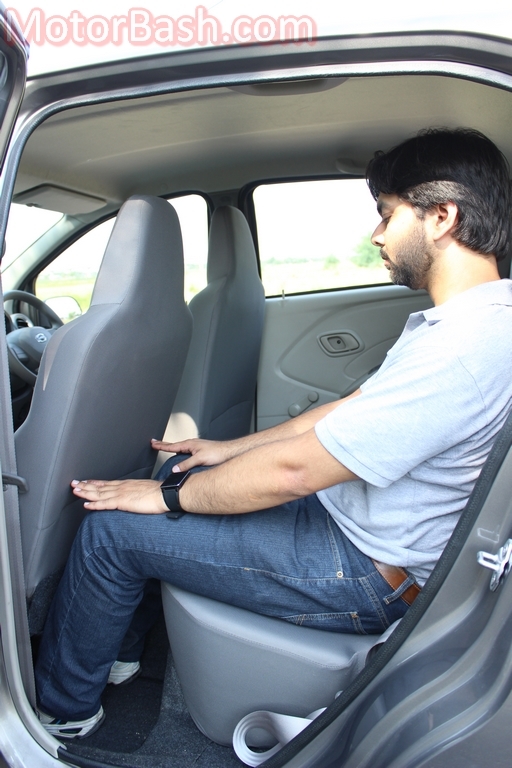 The seating position is high that not only gives the driver a commanding view of the road ahead, but also ensures that even the taller folks’ thighs remain parallel to the floor, and not with knees pointing towards the roof. 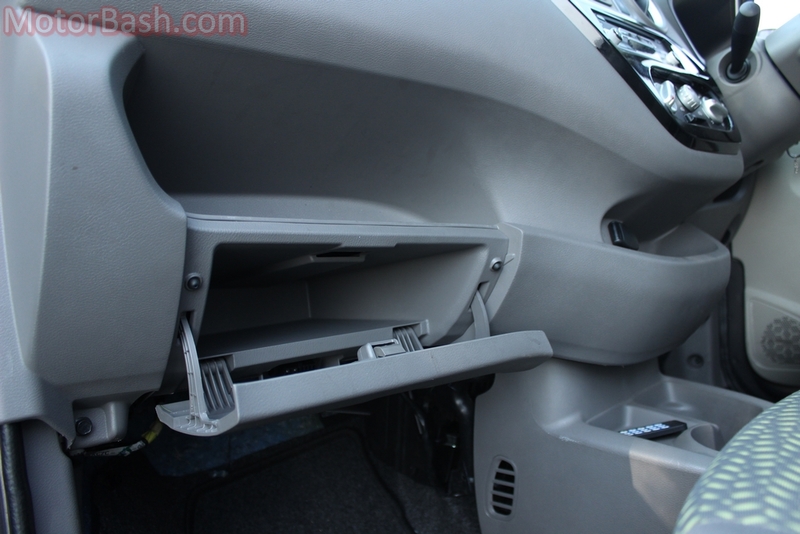 There’s class-leading knee room, head room, and under-thigh support, which, coupled to the aforementioned ease of ingress/egress, would ensure you get blessings from elderly folks whenever you take them out for a drive in this one. 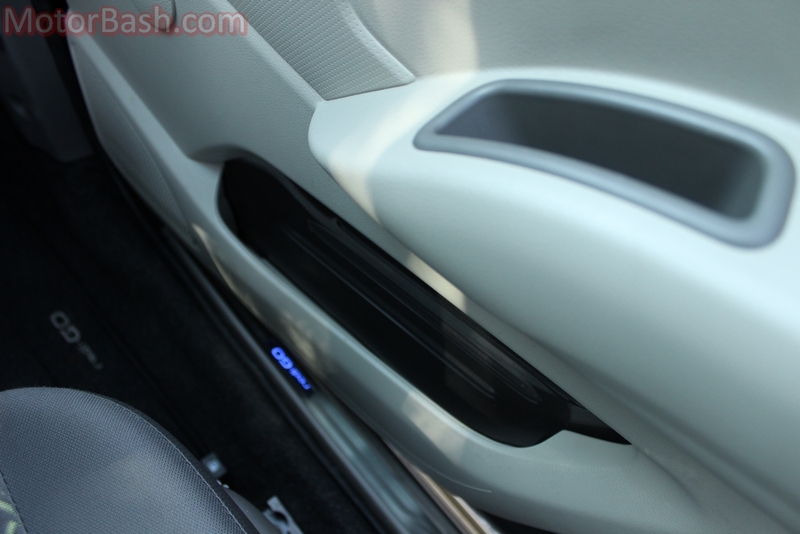 Oh yes, the RediGO also boasts of excellent air-conditioning, and hats off to the thoughtful chaps in the R&D team for providing a fixed vent in the centre of the dashboard that massively aids in cooling the rear portion of the cabin. Brilliant! You get a CD player as well with USB and AUX-in ports too. The sound quality is nothing to write home about though, but it’s nothing that a pair of good speakers can’t address. There is good amount of storage space in the front though I don’t think it would have been that difficult for Datsun to provide at least the exact same narrow door pockets on the rear doors as well like they have provided on the front doors. Thankfully, the rear doors have retained the miniature storage pockets that should hold 6-7 chewing gums or around a dozen toffee-wrappers. Please store them there and dispose them off in the first waste bins you come across. Datsun, unintentionally perhaps, is doing its bit to help make our surroundings clean… Talking about waste material and imbeciles in cars who treat roads, sidewalks, etc., as their personal dump yard, my co-driver noticed an interesting thing. 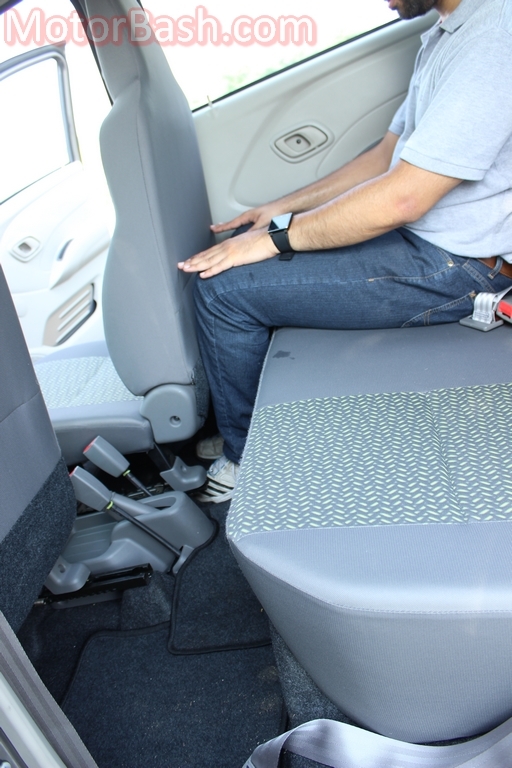 The carpet/flooring under the front seats has a raised border that would stop a bottle, can, or other riff-raff from the rear of the cabin, from sliding and ending up in the front footwell! 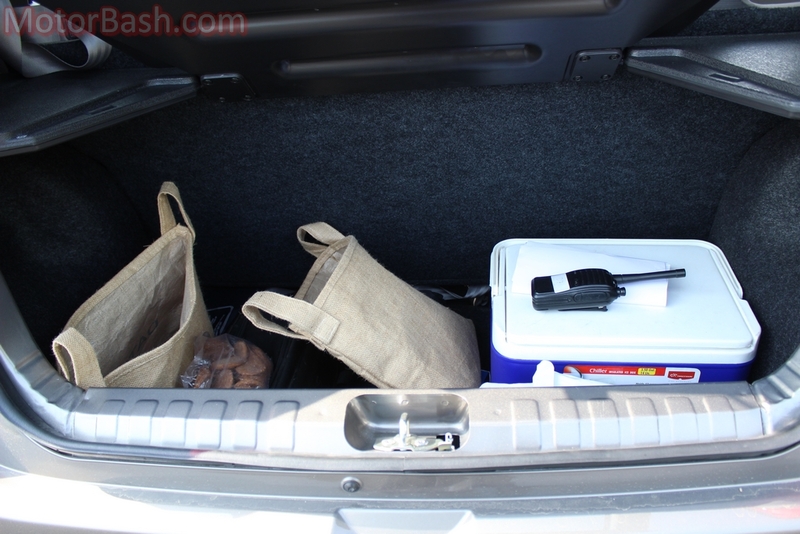 The boot space at 222 litres is better than both the Alto 800’s (177 L) and the Eon’s (215 litres). Start the engine and you’ll notice how noisy it sounds in the RediGO. 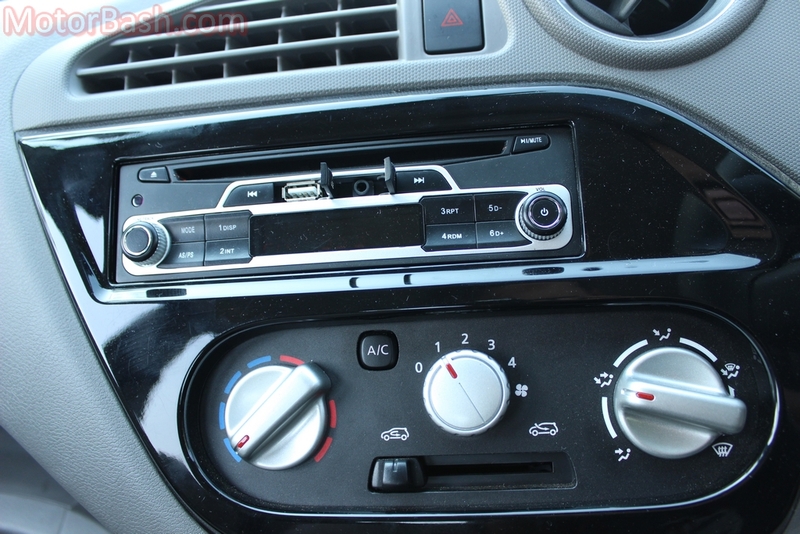 It won’t make the occupants uncomfortable though, but the same motor doesn’t sound as noisy in the Kwid. Use better sound deadening material then, Datsun? Thankfully, the noise is NOT accompanied by vibrations of any sort. The three-cylinder 799 cc petrol engine produces 54 PS at 5,678 rpm while peak torque of 72 Nm is generated at a high 4,386 rpm. Therefore, it might seem frustrating at first when you find the car resisting to break inertia at low revs. But when you do floor it, the RediGO immediately realises that its makers are touting it as the quickest car in the segment! I got a 30-40-yard long wheelspin which had my co-driver and me giggling like school kids spinning the wheels of an M800 for the first time. People who are expecting to commute daily in rush hour will be pleased to know that the clutch is light and the gearshift quality is fairly okay too. We also did two 0-100 runs and our best stood at 17 seconds – this was with two people in the car, so I believe that with just the driver’s seat occupied, the RediGO might even surpass the company claimed figure of 15.98 seconds. 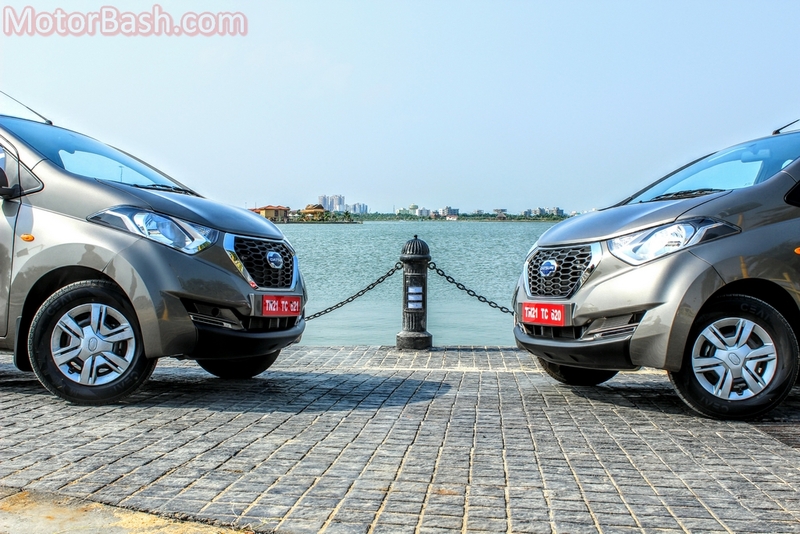 The claimed figures for the Eon and Alto 800 are 18.63 and 18.41 seconds, respectively. Okay, so now you know that you can get off the block in a jiffy if you want to, but what about the engine response and behaviour on the highways? Well, you may choose to cruise in fifth (overdrive) gear, but please always remember that you will have to downshift to third to successfully accomplish sudden overtaking manoeuvres. Fourth won’t help. Keep that in your head, and life will be sorted behind the wheel of this one. For the record, the third gear will take you to 120 km/h, which should be more than enough for all overtaking needs… The mark also makes me easily believe the company’s claimed top speed of 140 km/h. 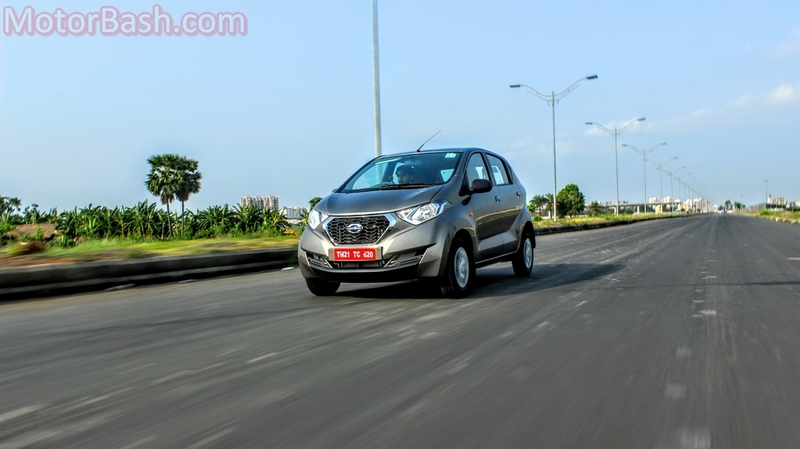 Coming down to the car’s ride and handling, I am certain you would have high expectations from the RediGO, because it shares the underpinnings with what is the current benchmark in the segment. Well, I am happy to report you won’t be disappointed. But before I tell you more about it, allow me to straightaway inform you that the Kwid still rides and handles better. 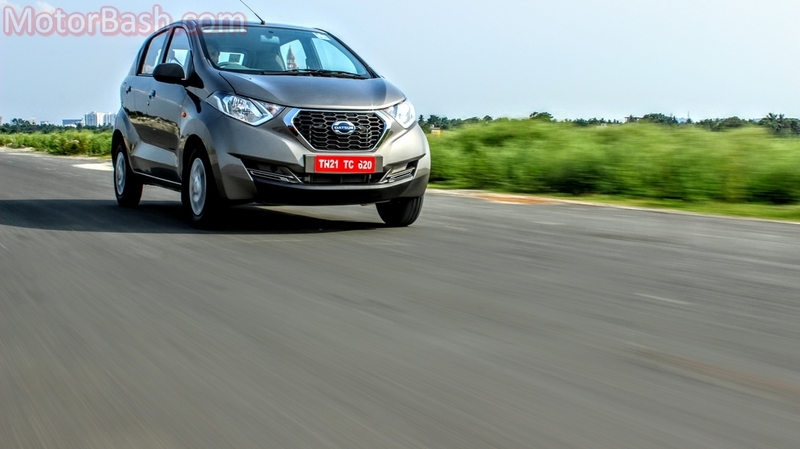 The RediGO’s ride quality is almost as good, and would leave both the Alto 800 and Eon in the dust – dust blown by a fast moving Datsun on bad roads, thanks to its 185 mm ground clearance. That kind of ground clearance sir, is not just the best in segment, but even better than the Creta’s (183 mm)! Now, you might be thinking that a vehicle this tall might turn turtle at the first corner taken enthusiastically, right? Wrong! The chassis is so darn capable that despite doing some tomfoolery with this number, it just didn’t give away! Needless to say then, that the RediGO is also fantastically stable in a straight line at triple digit speeds. 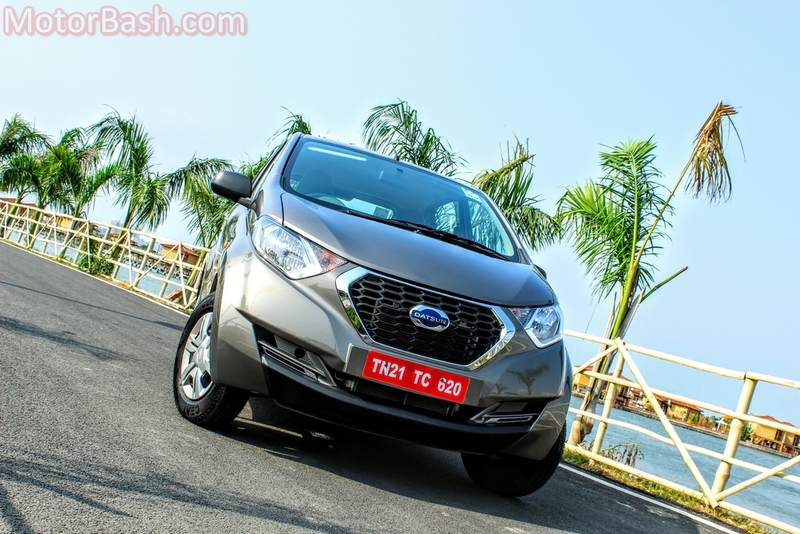 The only complaint all of us journos/bloggers had (we communicated the same to Datsun at the conference after day one’s drive) in the handling department is the steering feel. The lack of it, essentially. However, all of us also know that the majority of buyers in this segment will actually love the feather-light steering, which, coupled with the short turning radius, will definitely make getting in and out of the tightest spots a cinch. Thankfully, the grip provided by the skinny CEATs was surprisingly good in the dry, though we couldn’t test it on wet roads. I must also mention here that while doing the 0-100 km/h run, we also tried an impromptu 100-0 km/h braking test. We checked that it took less than four seconds for the car to come to a dead halt from 100 km/h! I am really regretting that we did not measure the exact distance it covered in those few seconds. 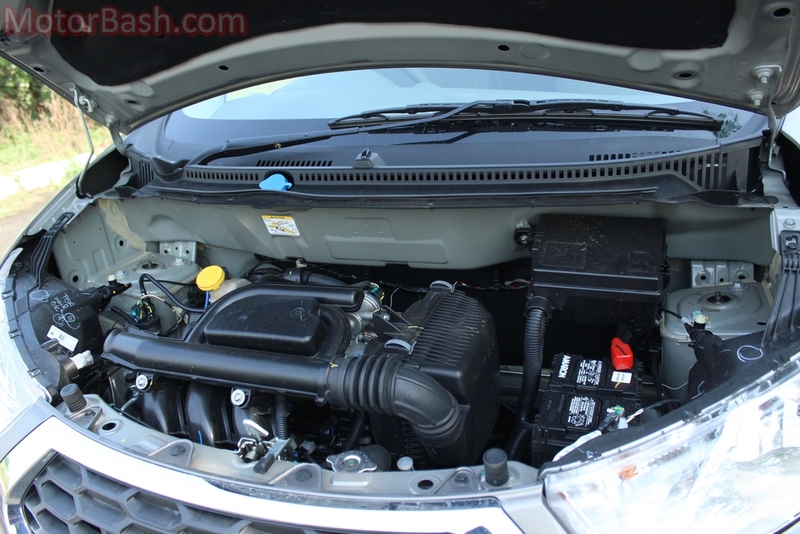 But we shall soon do that, along with testing the fuel efficiency, once a test unit is made available to us in Delhi. The RediGO is a nice product, and not just in isolation, but also when compared to its immediate rivals – the Alto 800 and Eon. It rides better than them; looks better; has more presence; is more powerful; has best-in-class seating comfort and in-cabin space; comes with India’s most fuel-efficient petrol engine (25.17 km/l ARAI); has best-in-class air-conditioning (THIS is something that even the manufacturer does not claim; I am saying this out of personal experience), offers best-in-class ground clearance, and, to top it all, its design does not make it look like an entry-level hatch! 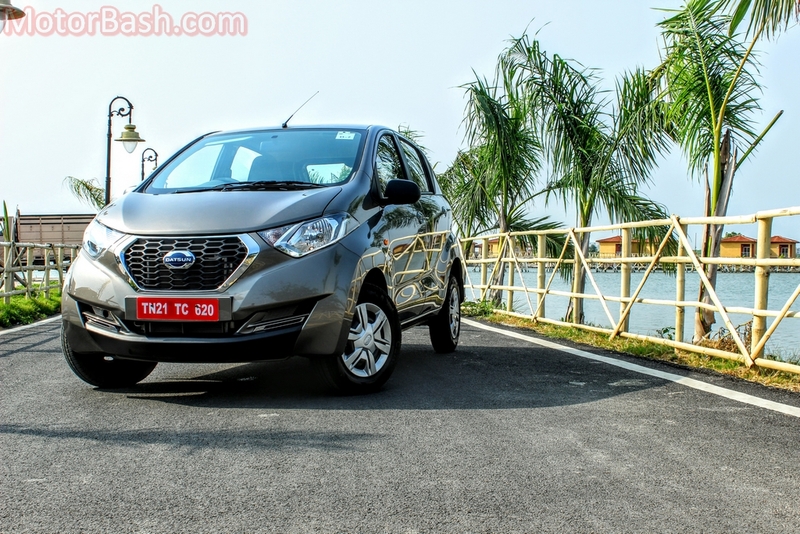 You will definitely not suffer from an inferiority complex getting out of this Datsun in the company of even some B-segment hatchbacks like the Grand i10, etc. So, the answer to the most important question is a resounding YES! Go back to last line of the second paragraph in case you forgot that question. Problem is, forget our review, a lot of customers in this segment won’t even notice the reviews of the most widely read magazines/newspapers in India. And this is precisely the chunk that might walk out of the showrooms the moment they sit in the car before even exploring its strengths which, like I had mentioned earlier, eventually matter not only on a day-to-day basis but even in the long run. 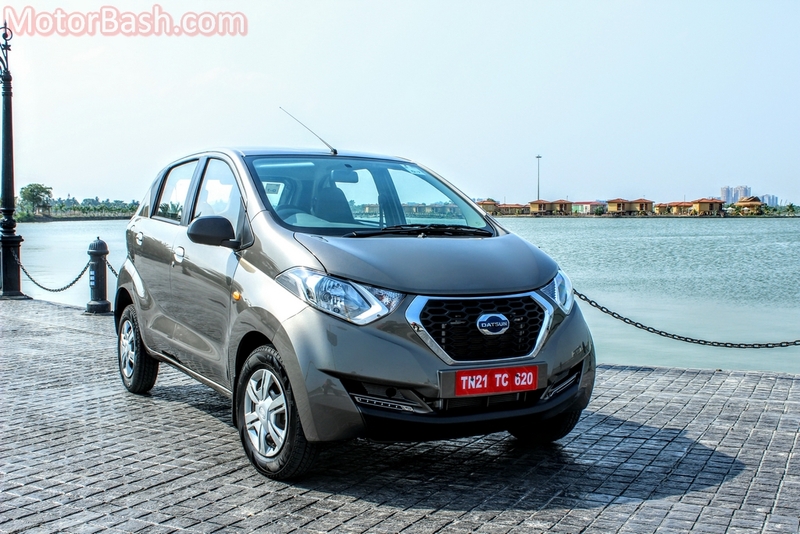 To avoid that from happening Datsun now needs to go berserk with marketing this car’s finer traits. NO, senseless TV commercials won’t work; a ‘personal touch’ would. Organise roadshows and interact with public; have cars on display at as many places as possible with extra-large banners/balloons showing “TEST DRIVE HERE” from a mile away; ring the doorbell of any house/flat/apartment that has its lights still on at 11 pm and offer test drives (try it; we don’t sue in India for that as yet…); have an entourage of bright coloured RediGOs run through the busiest lanes in the city during rush hour traffic; have the same convoy drive around India Gate (and other such places in other cities) on a Saturday night, or simply avoid all of this by keeping the INTRODUCTORY price of the RediGO at INR 1.99-2.10 lakh (ex-showroom) for the base variant and see people break their FDs; bunk office, and stand in queue outside Datsun showrooms to book this one. 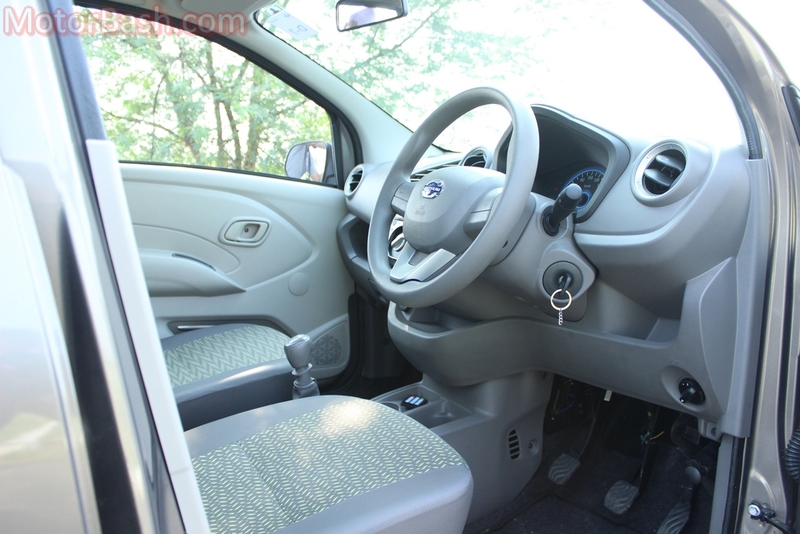 RediGO’s top variant with driver airbag, front power windows, drive computer, DRLs and other stuff costs Rs. 3.34 lakh. 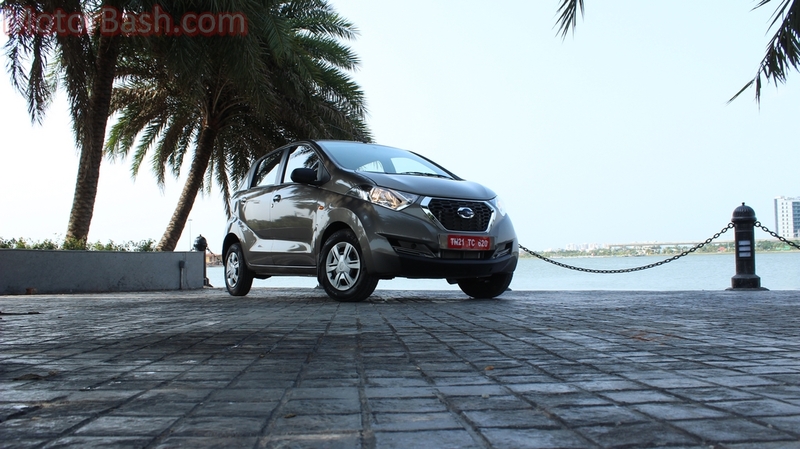 In comparison, the humble Alto 800 has been priced between Rs. 2.49 lakhs to Rs. 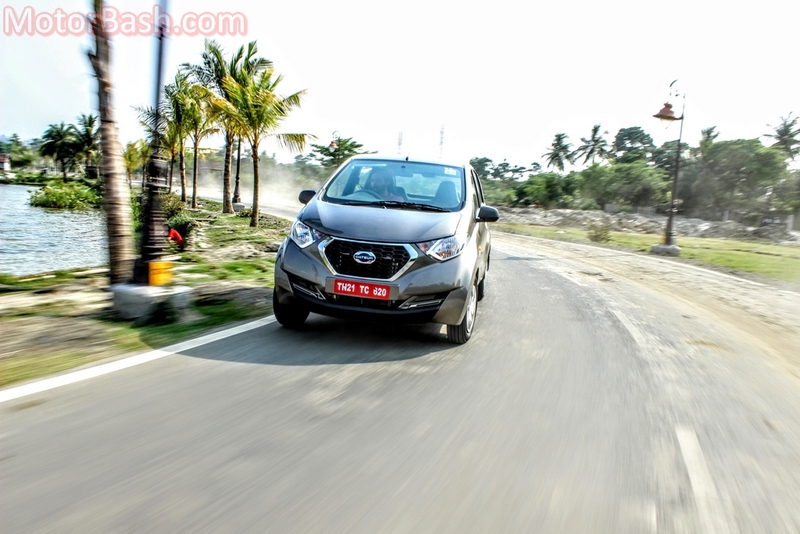 3.34 lakh and the 0.8 liter Eon starts from Rs. 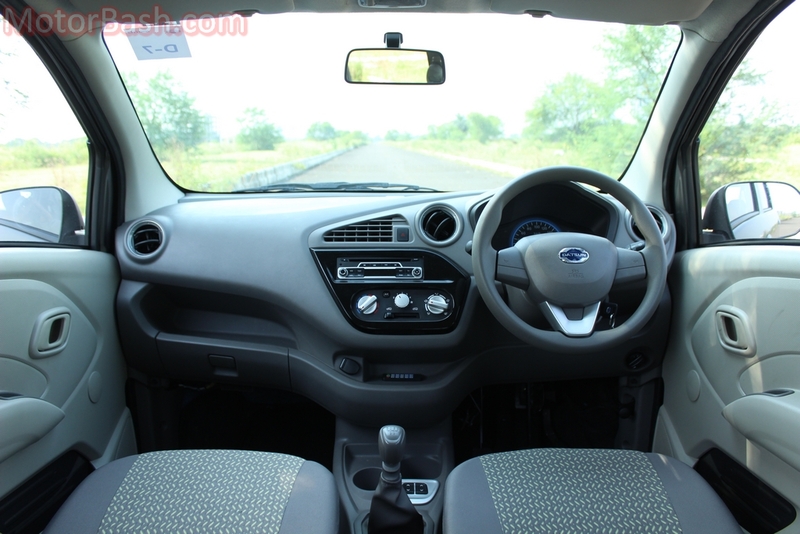 3.87 lakh and goes all the way up to Rs. 4.31 lakh. 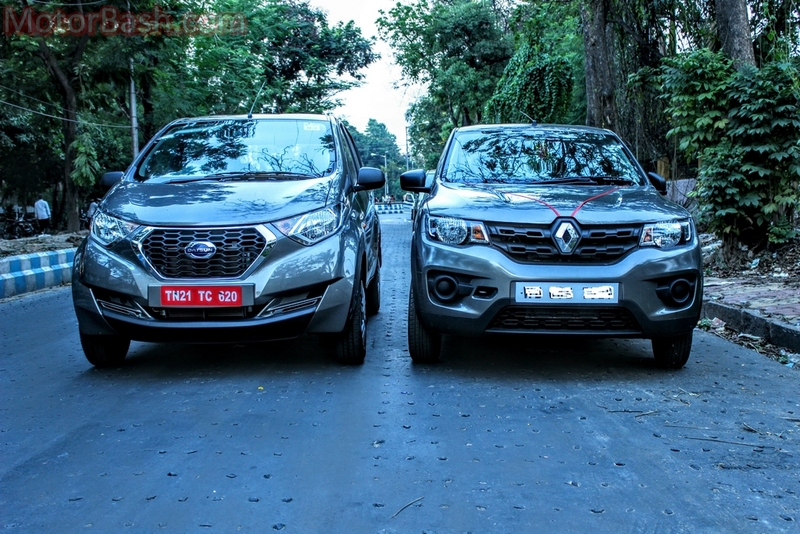 And just for all you souls who are comparing it with Kwid, the Renault now starts from Rs. 2.64 lakh with the top-of-the-line RXT(O) setting you back by Rs. 3.73 lakh. All prices I have mentioned here are ex-showroom Delhi. 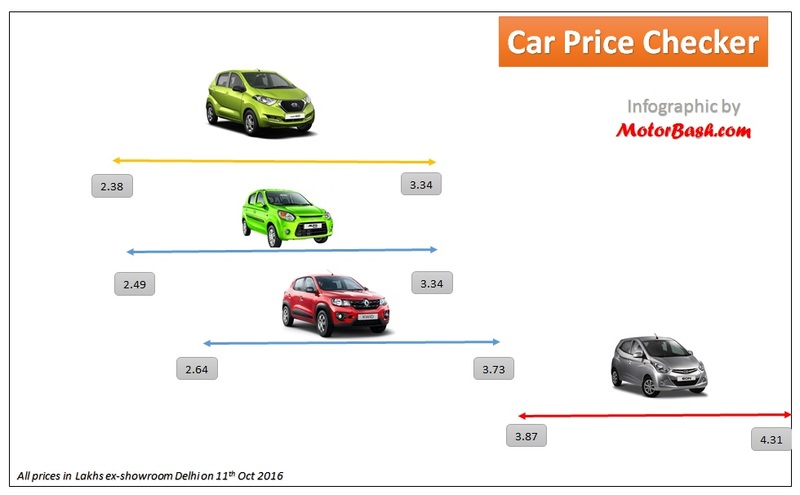 Like Kwid, RediGO is a much more a car than what Nissan is charging you for. Its time we get over the Altos and give a chance to the new comers. 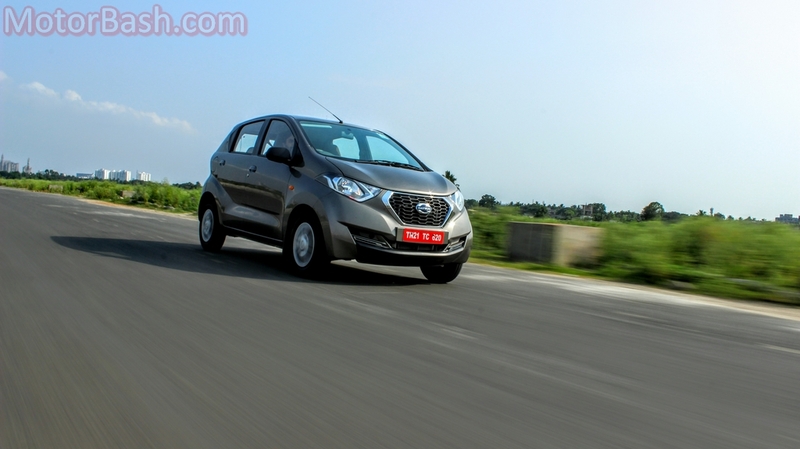 By the way, they have also promised 32 per cent lesser maintenance costs than the Alto’s! What Next? Read more such helpful reviews at our Car Review Page. Thanks a ton for such kind words Ajith; I am humbled. Such straight-from-the-heart feedback is nothing less than a trophy for me, so am actually taking a screenshot of this comment for “My Trophies” album on Facebook. 🙂 Thanks again!